After a fun Hat-py Party 2009 on 30th Dec 2009 organised by 24seven, another fun event was on the way with a fun night of BBQ, Pot Luck, Games, making new friends/bloggers & networking at Aloha Loyang Chalet on 13th Jan 2010 ! Arriving at around 645pm, I was quite early because the BBQ was supposed to start at 7pm, therefore, relaxed & chatted with Hisham, Ee Von, Diana. As part of the pot luck, I contributed 2 bottles of ice wine to the bar counter managed by Ee Von. Thereafter, the other folks arrived, Kris & Yusri started the fire and I hanged around chatting with them. 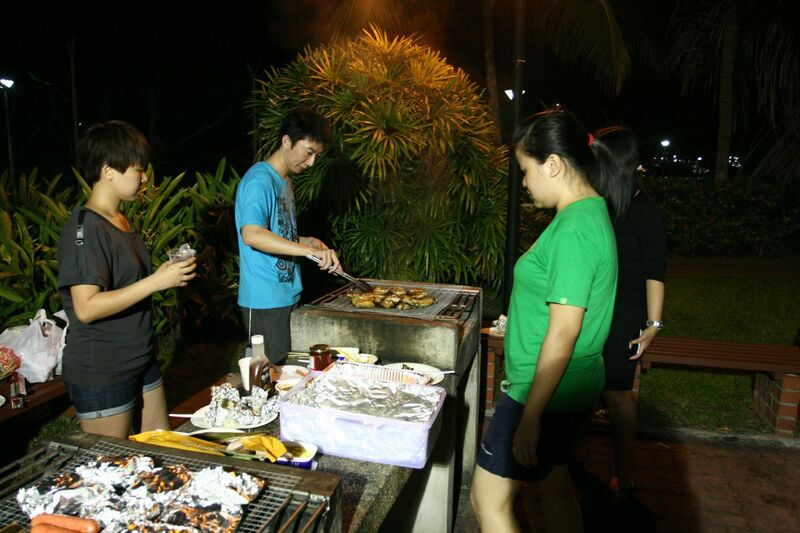 More bloggers soon started coming in and the fun began to build up, from different age groups and blogging interests, food was being cooked on the BBQ pit, cooked food such as pizza, fried rice and noodles were available, along with tidbits & chocolates. Saw some familiar faces as the crowds started building up, got to know more bloggers/friends and during this BBQ event, didn’t take much photos, spent more time eating, chatting, drinking and having fun ! There were other bloggers there too with their DSLRs & they would definitely take more photos than me, looking forward to their photos ! Didn’t take much photos, do check out some of my photos here on Flickr ! 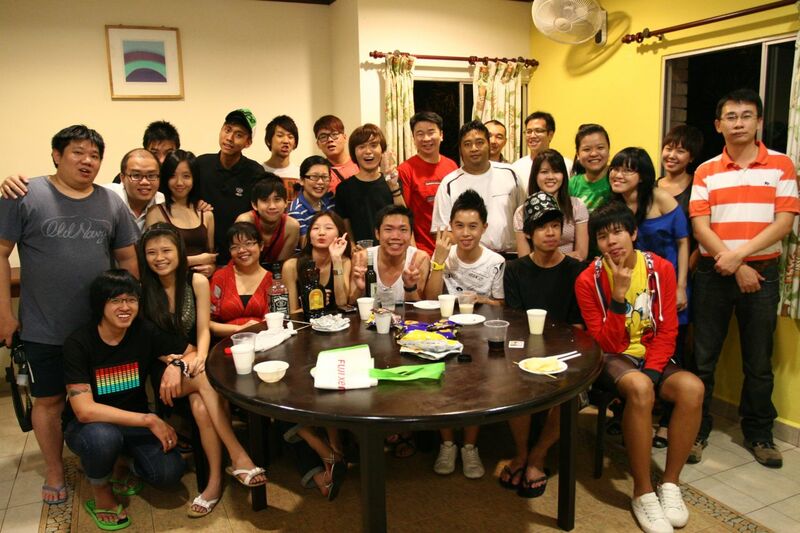 What would be an outing/gathering/event without a group photo ? 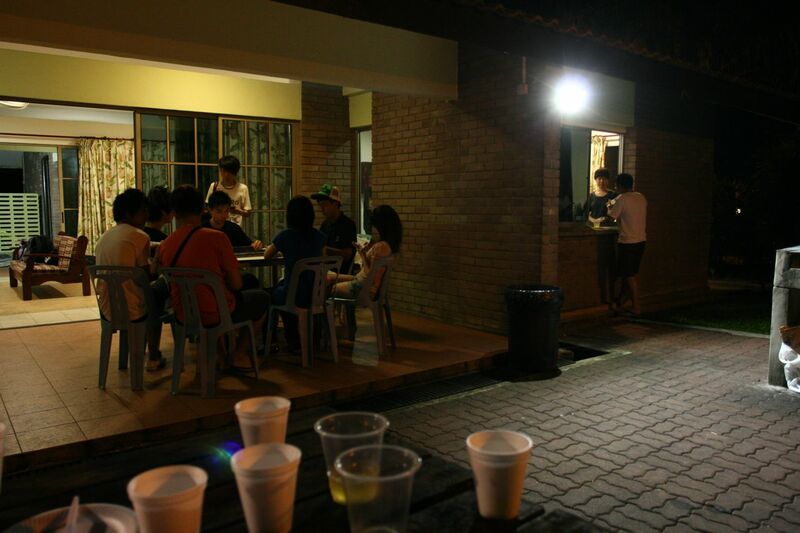 After this group photo event, there were games such as Monopoly Deal & Mahjong while others were eating & relaxing outside. Soon, it was time to make a move for home, missed the last train from Pasir Ris MRT Station by around 5 minutes and took a taxi home instead. A Big Thank You to the lovely folks, Claudia, Diana, Kris & Ee Von of 24seven for organising this fun night ! It was awesome !! Wow ! u update really fast ! Im the kid who use 50D yea. Didnt knew you had 20 years of experience in photo journalism,nice ! YOy, thanks for coming by! anyway NICE site you have. O_O Many EFFORT! Hope to catch up again soon ! Thanks for organising and hosting us ! Had a great time ! Catch up with u folks soon ! Nice meeting & chatting with u ! Thank U for your kind comments ! Inspires and motivates me to produce better & better photoblog posts ! Thank U for dropping by my photoblog !